CCASA is hosting an event on September 18, 2014 to raise awareness around child sexual abuse and support the 1 in 6 males who are survivors of this crime. Come join us for a fun music filled night and celebrate the strength and bravery of all survivors of child sexual abuse. 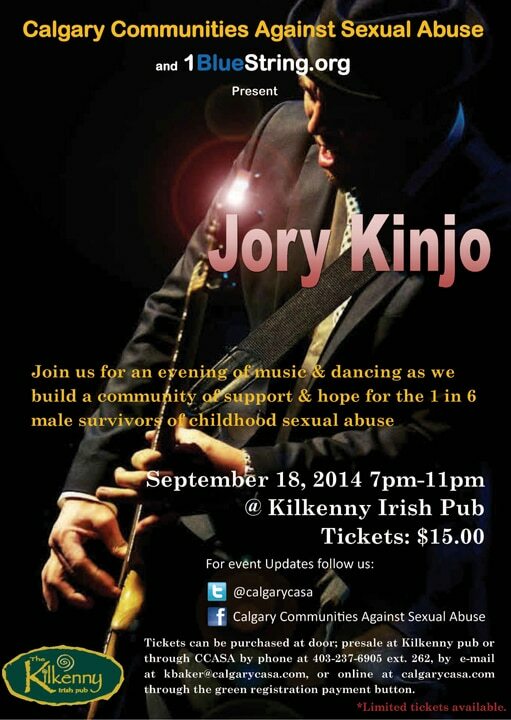 It is being organized in association with 1BlueString.org and will feature live music from local musician Jory Kinjo. 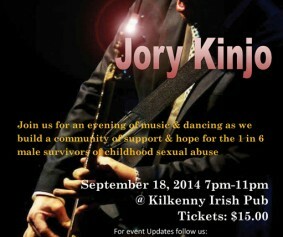 It will be held at Kilkenny Irish Pub. Tickets for the event are $15 and can be purchased by contacting CCASA by e-mail at kbaker@calgarycasa.com, by phone at 403-237-6905 ext. 262 or by visiting Kilkenny Irish Pub.